International Institute for Tropical Agriculture (IITA) recognized for generating solutions on and off the farm that have improved the lives of millions in the face of climate change, a surge of crop pests and disease, and an urgent need for youth employment. 7 September 2018 (KIGALI, RWANDA)— The International Institute of Tropical Agriculture (IITA), based in Ibadan, Nigeria, is the first institution to receive the distinguished Africa Food Prize this evening at the African Green Revolution Forum (AGRF) in Kigali, Rwanda. 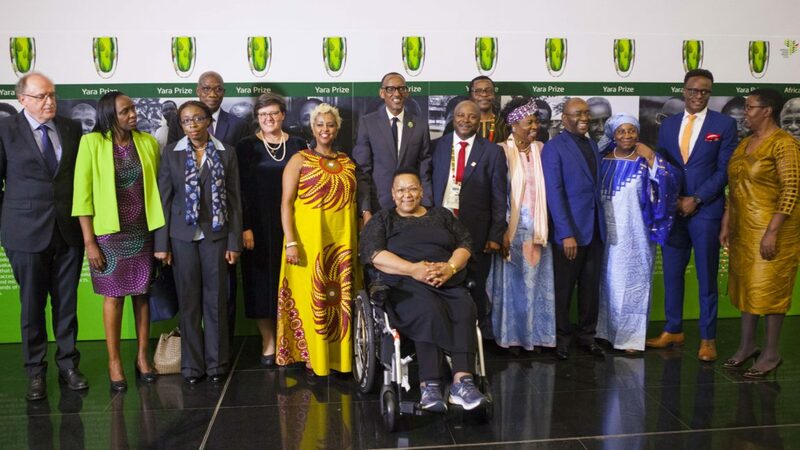 The independent Africa Food Prize Committee, chaired by H.E. Olusegun Obasanjo, former President of Nigeria, selected IITA for its deep commitment over many decades to producing a steady stream of innovations that have boosted the nutrition and incomes of millions of people across Africa. 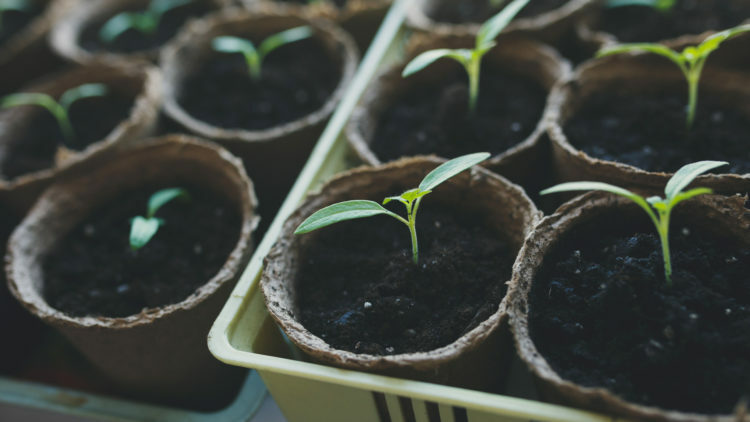 In recent years, that work also has included a critical focus on connecting crop science to creating employment for Africa’s youth, and ensuring African farmers can adapt to the stresses of climate change and the growing threat for an array of crop pests and plant diseases. Since its founding in 1967, IITA has developed a track record as a protector and promoter of Africa’s most important food crops. IITA scientists have developed hundreds of new, improved and high-yielding varieties of major African dietary staple crops. They include almost 400 new varieties of cassava, a plant once considered a poor man’s crop that, under IITA’s breeding efforts, has become one of Africa’s most lucrative and diverse farm commodities, with uses ranging from bread flour to beer to industrial processes. IITA has also led efforts to breed new varieties of banana, cowpea, maize, soybean and yam that are suited to the region’s wide diversity of growing conditions and dietary preferences. Overall, for Africans, the value of the crops developed by IITA and its partners now stands at US $ 17 billion and counting, underscoring its contribution to not only Africa’s agriculture but its economy as well. In 2016, IITA scientists were among the first to identify arrival of the dangerous and invasive fall armyworm pest in Africa, and are now working with a number of partners to help guide farmers to solutions for controlling a pest capable of devastating entire fields of maize and 80 other crops within days. Maize is also especially vulnerable to unreliable rains. IITA has been working in partnership with the International Maize and Wheat Improvement Center (CIMMYT) to develop some 160 new drought-tolerant maize varieties for farmers in 13 countries—which are already credited with lifting 2.7 million people out of poverty. Working closely with partners at HarvestPlus and the Nigerian National Root Crops Research Institute (NRCRI), IITA helped usher in a new day for cassava production with the release of a cassava enriched to naturally produce vitamin A, a nutrient whose deficiency is a leading cause of preventable blindness in children and also can be fatal to pregnant women. The new cassava varieties, which are high-yielding and pest-resistant, can provide 25% of the daily vitamin A requirement for both children and women. The health benefits of this cassava, in Nigeria alone, could be worth US$1.5 billion per year. Crops are not IITA’s only contributions. It recently partnered with experts at Pennsylvania State University to develop Nuru, a breakthrough technology accessible via smart phone that employs artificial intelligence and machine learning capabilities to help farmers accurately identify a number of cassava diseases. The ability to quickly spot the emergence of problems like Cassava Brown Streak and Cassava Mosaic disease—and distinguish one from the other—is crucial to an effective response to this major threat to cassava production in West Africa, which relies on early detection and fast, targeted interventions. Speaking as he received the Prize on behalf of his institution, Dr. Nteranya Sanginga, IITA’s Director General, stated his belief that a great deal of IITA’s success rests on its ability to develop relationships and collaborations that allow the fruits of its research to be scaled up and made available to millions of farmers. In addition to its research work, the Africa Food Prize selection committee also cited the institute’s role in moving from being a developer to becoming the producer and distributer of Aflasafe—a product that can remove 80 to 99 percent of a deadly, cancer-causing fungus called aflatoxin that contaminates maize and groundnuts. In order to prove there was a market for the product, IITA established a “Business Incubation Platform (BIP)” and manufactured and sold Aflasafe itself. The product was a hit with farmers, who found the savings generated by Aflasafe were many times more than the product cost. IITA eventually handed off production to a private sector partner and there are now manufacturing plants for Aflasafe in Nigeria and Kenya. Congratulating IITA on this recognition, Svein Tore Holsether, President and Chief Executive Officer of Yara International, noted that “since its inception in 2005, the Yara Prize—now the Africa Food Prize— has honored people and organizations who are strong voices in the African agriculture sector. Now, African agriculture is at a defining moment. To achieve real transformation we need to mobilize across sectors, and research organizations like IITA will play a crucial role, providing valuable science, vital in making sure we can produce enough food, which is also nutritious and environmentally friendly. IITA also was praised for understanding and acting on the potential of agriculture to become a source of employment for young people on a continent that is grappling with a significant youth employment challenge. Under Dr. Sanginga’s leadership, IITA began a Youth agripreneurs Program in 2012 to help young Africans create profitable agribusinesses. The program has since been adopted by the African Development Bank as a model for its ENABLE Youth initiative. AfDB has tapped IITA to lead the efforts, which has ambitions to reach 800,000 young people in at least 20 African countries. 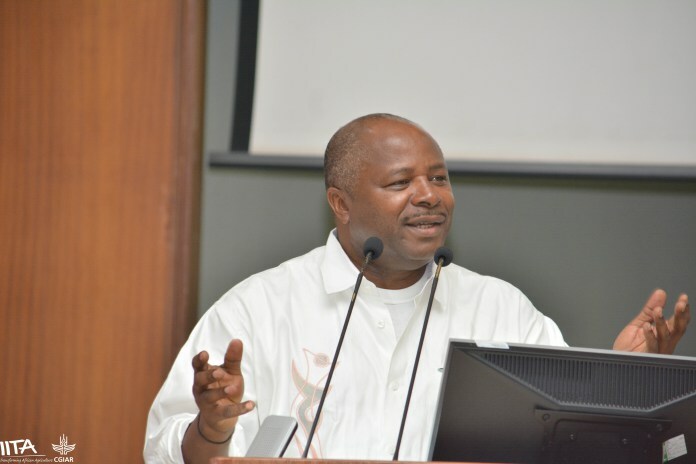 In an interview last week, Dr. Sanginga relayed the story of Lowell, a young aspiring entrepreneur who used the training and mentoring he received from IITA to start a high-quality cassava flour processing business in the Democratic Republic of Congo. Revenue from the business has grown from $4,000 to $20,000 a month. His success inspired the creation of an industrial park near Kinshasa for the country’s growing bread industry. As the first African Director General to lead the organization, Dr. Sanginga was recognized by the Prize committee as a powerful force behind many of the organization’s impressive achievements–and for its imaginative new strategic direction that has taken it into areas like artificial intelligence and business development. 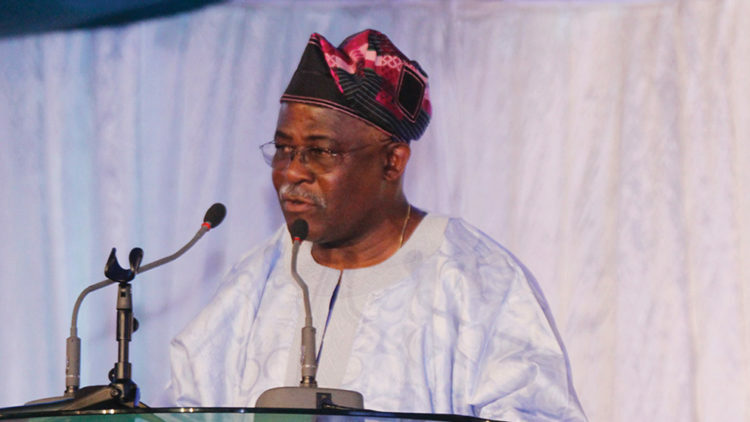 He also was praised for decisively extending IITA’s reach across the continent. When he was appointed in 2012, IITA’s physical presence in Africa was limited to its headquarters in Nigeria. Today, it has 18 country offices and regional hubs in East, Central and Southern Africa—each with its own state of the art research facilities and stations. In addition to Dr. Sanginga, also recognised by the committee were hundreds high-performing experts that IITA has recruited, trained and developed over the years, many of them going on to become pre-eminent leaders on the continent and champions for agriculture. They include: Dr. Akin Adesina, President of the African Development Bank; Dr. Kanayo Nwanze, former Head of the International Fund for Agricultural Development (IFAD) and 2016 winner of the Africa Food Prize, as well as Dr. Agnes Kalibata, President of the Alliance for a Green Revolution in Africa (AGRA). The Africa Food Prize began as the Yara Prize, and was established in 2005 by Yara International ASA in Norway to honour achievements in African agriculture. Moving the Yara Prize to Africa in 2016 and rechristening it the Africa Food Prize gave the award a distinctive African home, African identity and African ownership. 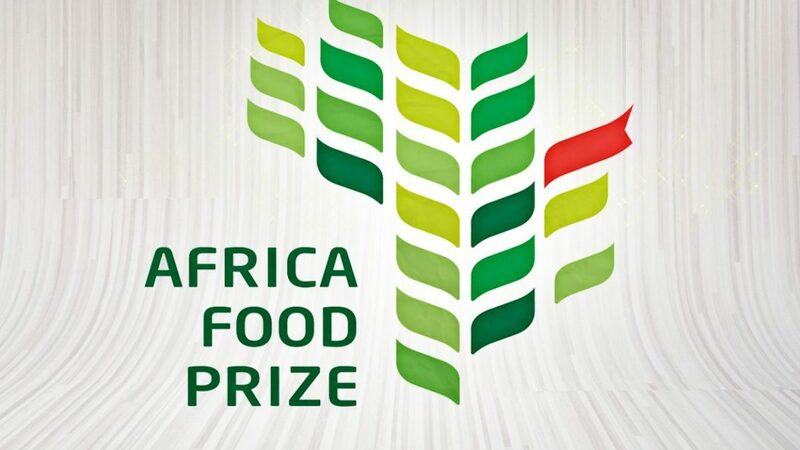 The Africa Food Prize honours outstanding contributions within every aspect of agriculture and food production that is clearly related to combating hunger and reducing poverty in Africa. Proven leadership potential of the individual or organization, specifically the ability to persevere despite significant challenges or risks.